Manchester United came from 0-2 at half-time to win 3-2 at the Etihad Stadium this evening to deny Manchester City the Premier League title for at least another week. It is City’s second defeat in the space of a week in which they have conceded a combined six goals. Vincent Kompany opened the scoring on 25 minutes with a bullet header from a corner after losing Chris Smalling. Manchester City had one hand on the Premier League title five minutes later when Ilkay Gundogan toe-poked home across David de Gea’s goal. Raheem Sterling missed two one-on-one’s in the final 15 minutes of the first half in which we didn’t produce a single shot on target. However, football is a game of two halves and in the space of 97 seconds in the opening 10 minutes of the second half, Paul Pogba scored twice to level the score. To turn the match completely on its head, Chris Smalling volleyed home Alexis Sanchez’s free kick to give us the three points to delay Manchester City’s title confirmation for at least another week. David de Gea made a stunning save to deny Sergio Aguero in the 89th minute before Raheem Sterling hit the post from the ensuing corner. Manchester City had been the odds on favourites with sports betting operators heading into the match. David de Gea 6 – Not given a chance with either goal and made a couple of comfortable saves as Raheem Sterling failed to test David de Gea with two excellent opportunities towards the end of the first half. Tremendous save to deny Sergio Aguero’s 89th minute close range header. Antonio Valencia 6 – Leroy Sane got an assist but otherwise the German wasn’t a huge influence up against Antonio Valencia. Eric Bailly 5 – The defence was lost at sea in the final 25 minutes of the first half and we were fortunate only to be two down at half-time with the guilt-edge chances we allowed Raheem Sterling that the England international failed to convert. We were better defensively after the break but there were a few last ditch challenges and blocks to keep Manchester City at bay. Chris Smalling 6 – Left lots of space in behind on more than one occasion in the first half and lost Vincent Kompany for the opening goal. Chris Smalling gave us the lead midway through the second half with a volley from an Alexis Sanchez free kick. Ashley Young 5 – A terrible start that saw Ashley Young lucky not to concede a penalty in the opening five minutes and lucky to get away with a clear foul on Raheem Sterling down the wing. The left-back later produced a high tackle on Sergio Aguero inside the penalty area that referee Martin Atkinson decided wasn’t a penalty. Denied Aguero a tap in in the final 10 minutes. Nemanja Matic 5 – Manchester City were passing the ball around our midfield with ease in the first half. Nemanja Matic lost Ilkay Gundogan for their second goal. Ander Herrera 8 – Hardworking display off and on the ball. Beautiful chested pass to Paul Pogba for the first goal to set up the comeback. 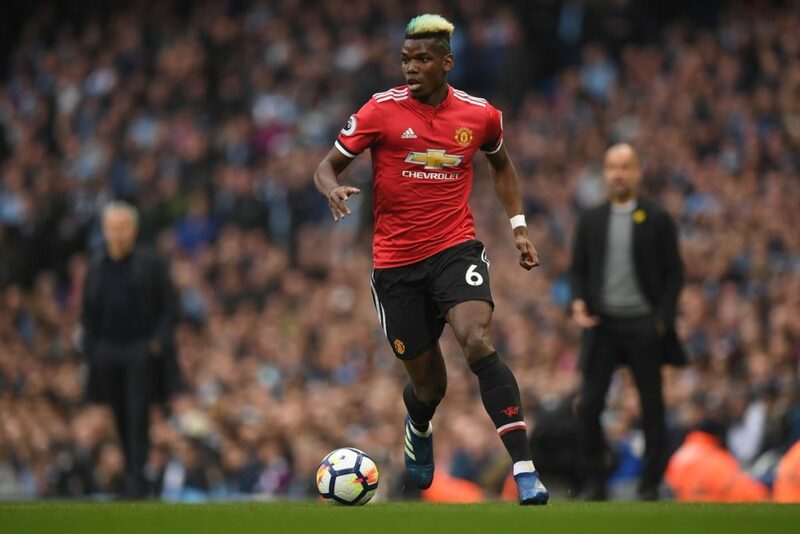 Paul Pogba 8 – Anonymous in the first half but stepped up big time after the break with two goals in as many minutes to level the score. The first a fine finish over Ederson and the second jogging past Nicolas Otamendi to head home Alexis Sanchez’s cross. Jesse Lingard 6 – Retained possession well down the right wing without any flash moments. Romelu Lukaku 4 – Barely got a touch of the ball and even picked up a yellow card. Alexis Sanchez 9 – Involved in all three goals. Alexis Sanchez turned Fabian Delph inside-out before crossing the ball to Ander Herrera to set up the first. The Chilean delivered the cross from deep to setup Pogba’s equaliser and then floated in the free kick for our winner. Marcus Rashford (9 mins) N/A – Late replacement for Alexis Sanchez to offer a counter-attack threat but Marcus Rashford never got a chance to show off his pace or goalscoring threat. Scott McTominay (6 mins) N/A – Back from injury to help see out the result as a defensive change for Jesse Lingard.